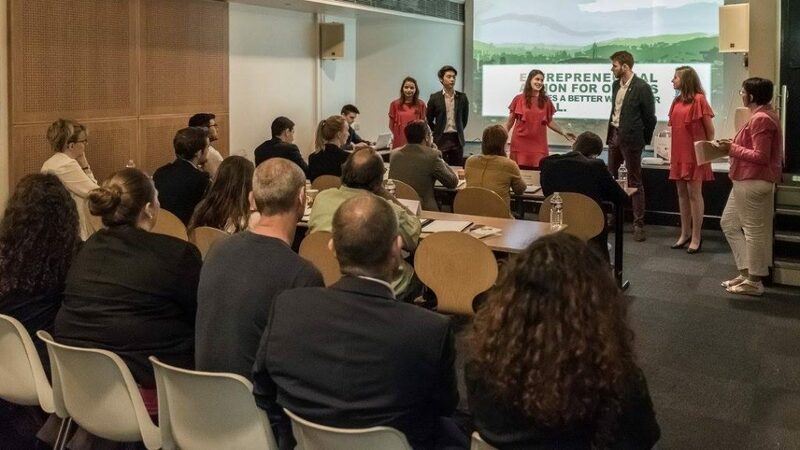 In true celebration of the power and importance of the entrepreneurial action, for the second year in a row the Enactus France National Competition was held as part of Déclic, a national festival dedicated to cultivating the entrepreneurial spirit among young people aged 12 to 25. Not only did the participating Enactus France students have the chance to network with their peers and supportive executives, but they also had the chance to learn from other young people about their entrepreneurial initiatives, while also sharing their own work. Talk about living the value of collaboration! The competition kicked off with the Opening Ceremonies, starting with the parade of teams and a welcome from Country Leader Aymeric Marmorat. 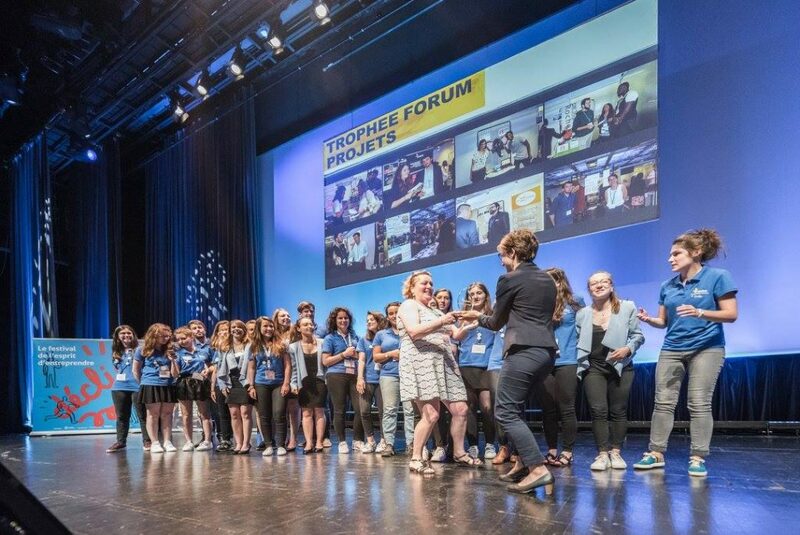 Then Enactus France tried something a little different: they invited the theatre troupe New to perform, where they improvised songs using the words suggested to them by attendees, with a focus on the world in 2030. Judging by the great posts on social media, this new addition was a big hit! Next came the first round of competition that saw 17 teams present their incredible initiatives to over 100 executives serving as judges. With 18 teams in attendance to observe the competition, it was an amazing opportunity for shared learning. Judges had the tough job of selecting the top team from each of the four leagues, who earned the chance to move on to the final round. Translation: Semi-final of the #CNEnactus @ @citedessciences • The @ ICNbs team presented the RISAD project on entomophagy! In addition, one team from each league was presented with the Spirit Award, given to the team in each league that best embodies the Enactus values of passion, innovation, integrity and collaboration. Translation: CNEnactus. Neoma BS wins Enactus Spirit award for league3! Translation: Spirit trophy for @NEOMAbs students during the national competition #CNEnactus 2017 @EnactusFrance! Congratulations! The final four teams then took to the main stage, giving their best presentation possible in hopes of winning the national title and the chance to represent France at the Enactus World Cup this September in London. Judges selected the team from EBI – Industrial Biology School as this year’s National Champion, impressed with the two projects they presented: Barnab’air, where the team developed an inexpensive yet effective indoor air filter; and Mamie Cendrine, an initiative where the team created an eco-friendly laundry detergent from wood ashes. Félicitations à @EnactusEBI qui remporte le Trophée de La #CNEnactus ! Translation: Congratulations to @EnactusEBI who won the #CNEnactus Trophy! They will represent France at #EnactusWorldCup in London! 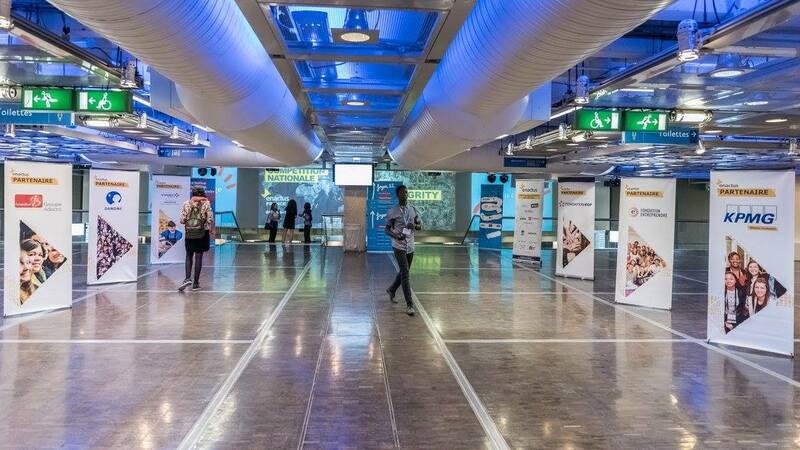 To further give teams the chance to collaborate and share ideas, they held a project fair during the event, and 34 teams set up displays to share their projects and impact. In addition to visiting with other students, teams also had the chance to share their work with the executives in attendance, providing a valuable mentoring opportunity. Attendees were asked to vote for the best display based on three criteria (entrepreneurial position, interaction and originality), which was presented to the team from EBI. In a unique twist on the ceremonies, Enactus France invited slammer Achille to perform during the final award ceremony. After participating in the event, he shared his feelings and thoughts on his experience using rap, rhyme and song, an impressive finish to an impressive event. Dancer Ucka Ilolo also took part that day, performing while the finalists were announced.